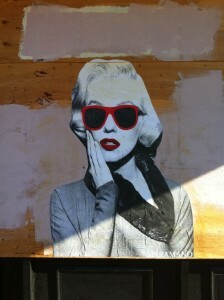 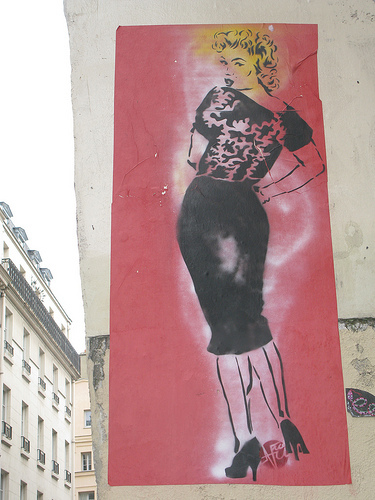 Street art by Mr Ramano, based on a publicity shot of Marilyn as bespectacled Pola in How to Marry a Millionaire, spotted by Mohamed in Culver City and posted at Melrose and Fairfax, a blog dedicated to street art in Los Angeles. 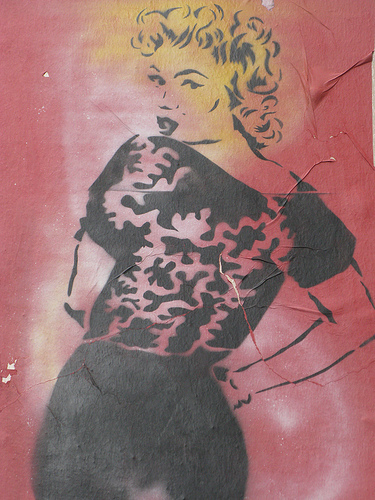 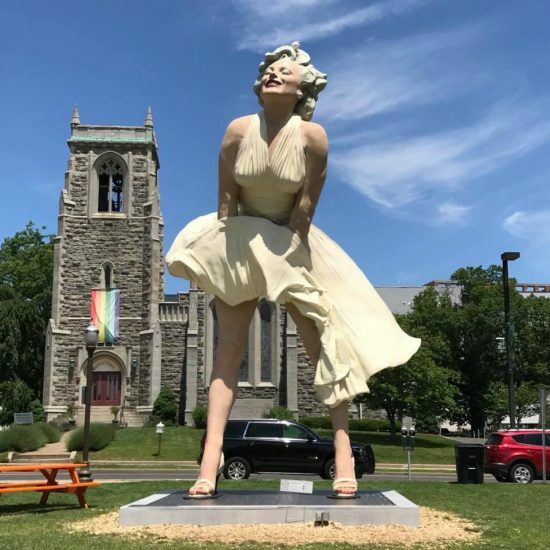 FranCisco Vargas has updated his 20 year-old painting of Marilyn, which adorns an outside wall of the Weco Building Supplies building in Fresno, California. 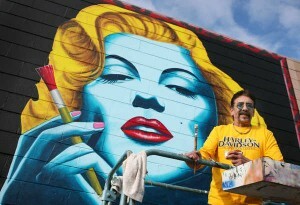 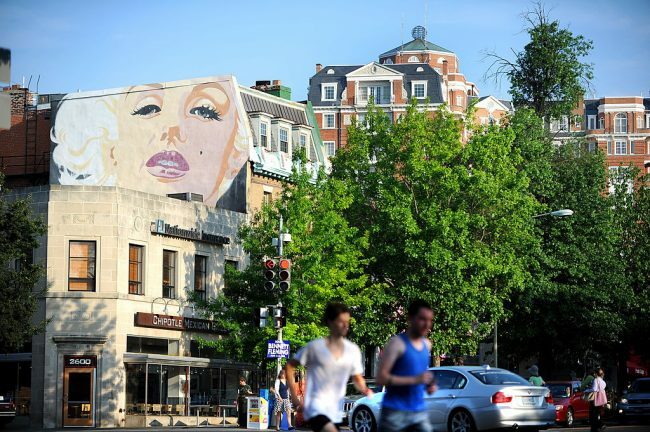 The mural now features Marilyn holding a paintbrush instead of a cigarette, reports the Fresno Bee.